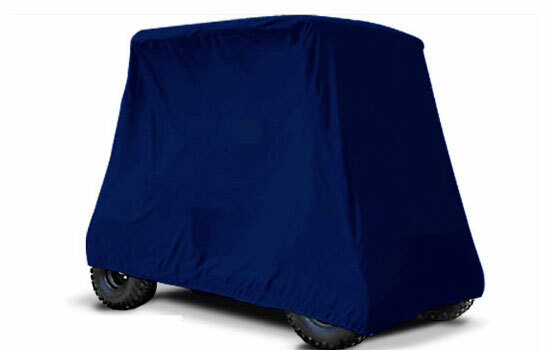 Outdoor Cover Warehouse Covers offers Sunbrella Covers and Golf Cart Enclosures. These high quality covers feature 100% genuine Sunbrella fabric. The entire cover is made from Sunbrella, not just select panels. Sunbrella material is known for outstanding performance and long-lasting life that is sure to provide many years of protection to any cart. 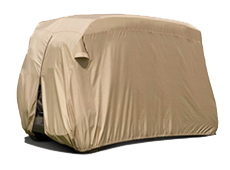 NOTHING BEATS EXACTFIT SUNBRELLA or SUNFLAIR FABRIC COVERS & ENCLOSURES! 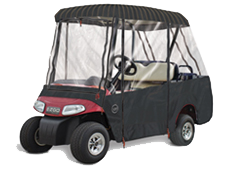 ExactFit Golf Cart covers, featuring legendary Sunbrella brand fabrics, are for people that demand high performance from their covers. The Sunbrella brand is synonymous with quality and longevity that is backed by years of proven durability. 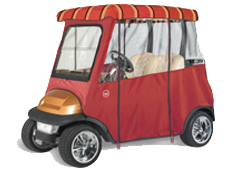 ExactFit utilizes precision design and expert tailoring to produce a high-end Sunbrella golf cart cover that is beautiful and durable. 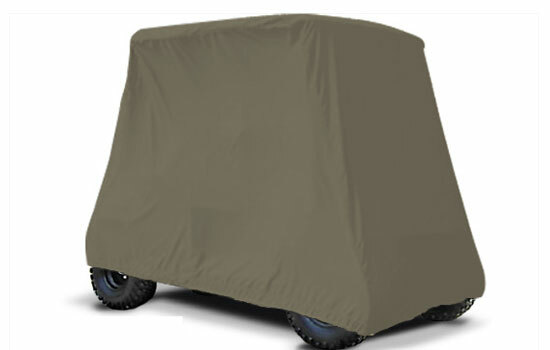 Choose from a wide variety of rich colors to find the perfect cover for your cart! The fabric is marine grade 9 oz. material made of 100% Solution Dyed Acrylic Yarn. The solution dyed process provides excellent fade and weather resistance. 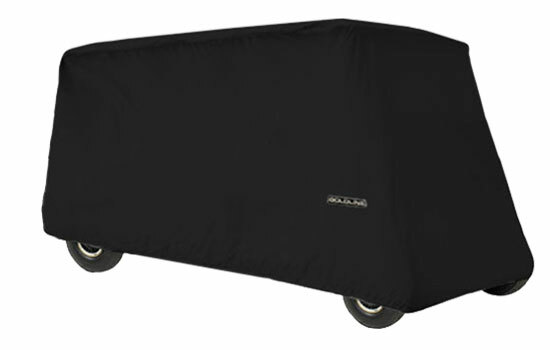 ExactFit proudly features SUNBRELLA material for improved performance and longer life.